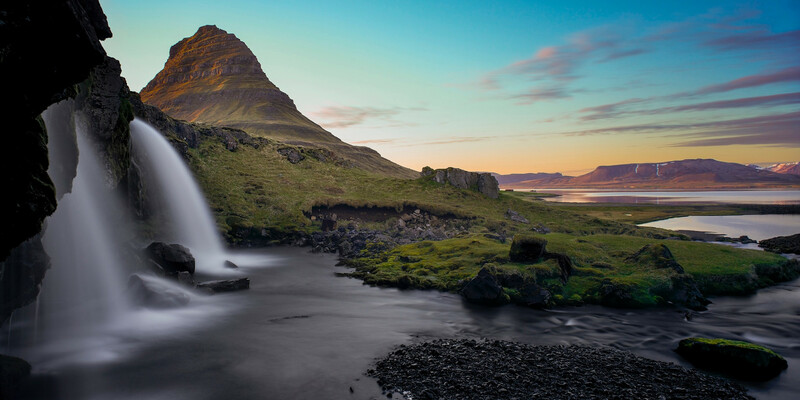 Kirkjufell (Church Mountain), the location for Sunset Falls (Kirkjufellsfoss) Church Mountain Falls, was my first planned location shoot in Iceland. I drove there after picking up my camper and hitting the supermarket. On the way I managed to stop dozens of times so the three hour drive ended up nearly six hours.